In an age of fairly dodgy ports, Final Fantasy has had more than its fair share, particularly when it comes to the older games. Being my favourite – and objectively the best one, fight me – I was worried the same might be true of FF9’s long-awaited PC launch. It’s now out on Steam and, based on some early streams, looks both absolutely gorgeous and suitably altered considering how long it is since first release. 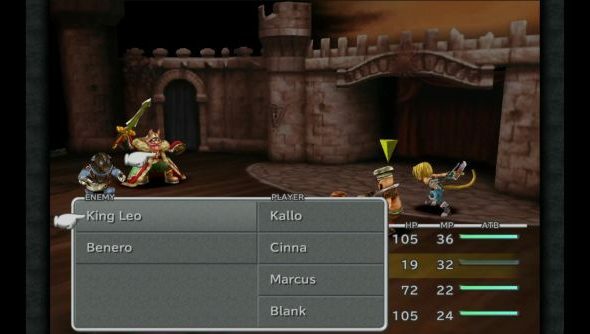 Character models have been up-rezzed, the UI is clearer, new prompts have been added, new modes and cheats for veterans – it’s not a remake in the vein of the upcoming FF7 (we can but dream) but it is more than an emulation. For more classics, here’s our picks for the best RPG ever. Steam trading cards and achievements, of course. Auto saves to avoid the classic dinner’s ready miles from the next save point. What a world 2016 is. Seven boosters for character levels, weapons and items. This also adds a high-speed mode and no-encounters mode. That last may sound like cheats that don’t really add anything to the game, but they’re actually what I’m most excited for. The world of Final Fantasy speedrunning is fascinating, and FF9 is one of the best – except its encounter rate isn’t manipulatable whatsoever, making it a frustratingly random experience. While being able to turn them off won’t make for a ‘true’ speedrun, it should be an interesting new category. Meanwhile, high-speed mode is real useful for casual playthroughs that want to speed up some of the grindier sections. There are some reports on Steam of a few controller-related bugs, but just as many folks reporting no problems whatsoever. Expect a patch for less-common controllers in the coming weeks. If you want a preview, there’s a few streams up, though this one has no commentary if that’s your bag. Having watched it while writing this post, I can report that my only real complaint is that the new character models on top of the old background textures are a bit dodgy, but it does helpfully make interactable elements super obvious. The battle load time is a tad longer than would be preferable too. On the flip side, the music is still one of the best soundtracks in games. Steam page here. It’s 20% off for the next week, meaning it’ll cost you £12.79 / $16.79 / €16.79. As one of the only FF games I’ve finished, I think it’s well worth your time and money. Now, Square, lets get moving on those FFX, X-2 and 12 ports – oh, and 15 and 7RM are making it right?